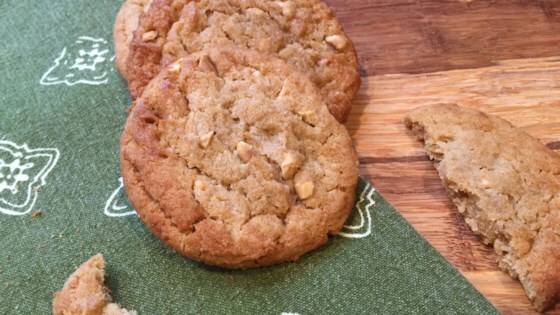 "Kids will love these scrumptious low-carb keto cookies; all you need is peanut butter, vanilla extract, an egg, and some sugar substitute." Incredibly dry, crumbled when I tried to pick them up, and looked nothing like the picture. Also this has FOUR ingredients. Not 3. Very delicious. To combat dryness I recommend adding 1 tablespoon of butter. My cookies came out delicious and I used Swerve confectioners sweetener. Added one T of butter and baked for 8 minutes. Very good! What a nice treat. I cooked them for 10 minutes and they were moist and not at all dry.